Browne’s heavyweight main-card bout against Mitrione Sunday at UFC Fight Night 81 turned on a pair of eye pokes, neither of which were penalized by referee Gary Forman. 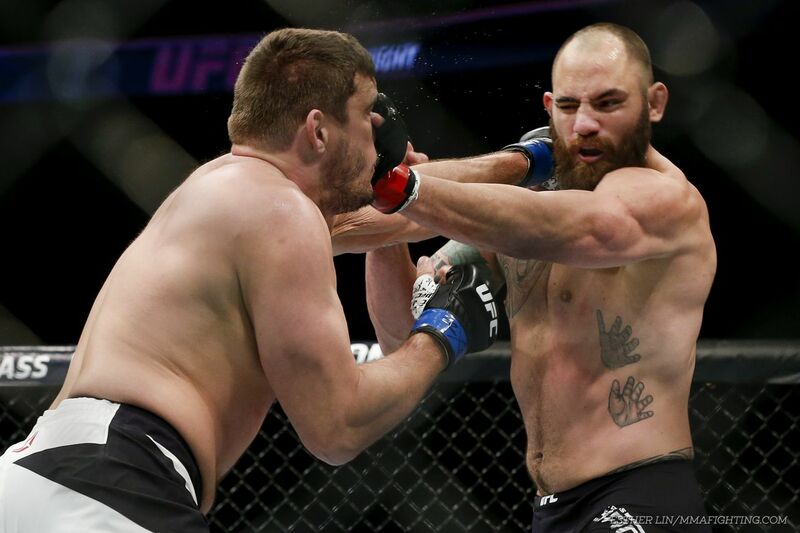 But Browne says not only were the eye pokes not intentional, but that he was profusely apologetic to Mitrione in the Octagon at Boston’s TD Garden. The first foul occurred in the opening round, when a forward-moving Mitrione caught a pinky in the right eye. The second was a thumb which caught him in the same eye in the second round. Browne points out that on both occasions, it was a defensive reaction and not a conscious offensive maneuver. While Forman has been criticized for his handling of the eye pokes — in part for not docking a point on either infraction, and in part for his delayed reaction to the second poke — Browne, as a fighter, can only work with whatever the referee decides.